Back in June I decided that I really needed to make some space in my cosmetic drawer. I started to use the products that were already half used more than the new ones and this means that I managed to finish quite a few things since. 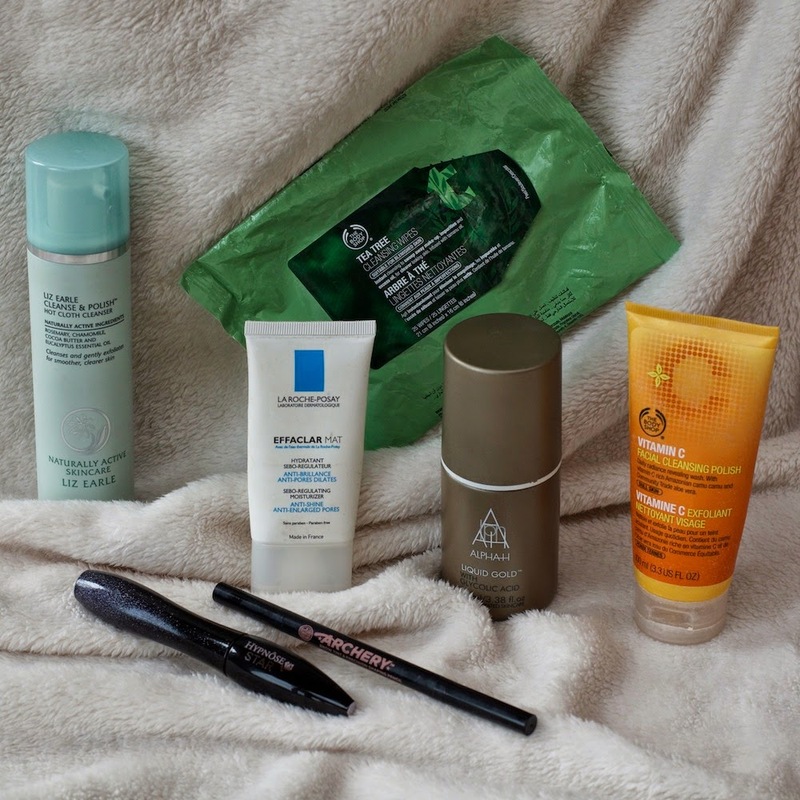 Here’s what I finished up skincare and make up wise. The Good : Need I say anything about it ?! It’s been raved about and it’s completely deserved. It is very efficient at getting rid of makeup and grime and it smells like a spa ! It also feels nice and creamy on the skin and doesn’t sting the eyes. The Bad : The price tag maybe … But it lasted me about 3 months of everyday use so it lasts quite a long time. Also it’s not the easiest thing to find if you live in Switzerland. Will I repurchase it ? Probably. Just not right now as I’m loving the Emma Hardie amazing face cleansing balm at the moment. I really like that cleanser for winter so I might pick it up again around november. The Good : I’m pretty sure that this (paired with a good routine) helped save my skin about 18 months ago. It helped clear my skin. My breakouts go away quicker and so do the scars they leave behind. I’m not sure how it works as it feels like you’re just putting water on your face but it does. The Bad : Nothing. With that kind of results I’m not even bothered about the price. Plus you only need a little bit so it will last you a really long time. Will I repurchase it ? Definitely ! I’m just giving my skin a little break because it don’t want this miracle worker to stop doing its thing on me. The Good : It is a very light moisturizer. Definitely good for oily skin. The Bad : I didn’t notice any particular mattifying effect on my skin. To me it was just a light moisturizer. Will I repurchase it ? No. While it was nice to use it didn’t perform as I expected so I’ll be buying other moisturizers in the future. The Good : The smell and the fact that it has very gentle exfoliating bits makes it ideal for days when your skin feels a little more sensitive. It feels very fresh on the skin. Will I repurchase it ? I don’t need to I already have another one that I got as a present waiting for me. I probably wouldn’t repurchase it though because it is good without being amazing and I like to try new things. The Good : The material felt very soft (I find some face wipes to be too abrasive) on the skin and very refreshing. I also firmly believe that tea tree is amazing against breakouts. The Bad : You can’t use it around the eyes. It really stings. Will I repurchase it ? Probably not. I’m not the biggest fan of face wipes and I mostly use them on lazy nights so I need one that will do my face and eyes. I’ll probably try other products from the tea tree range instead. The good : Volume, length and no clumps. The bad : The price tag. The good : Makes your eyebrows look good effortlessly. 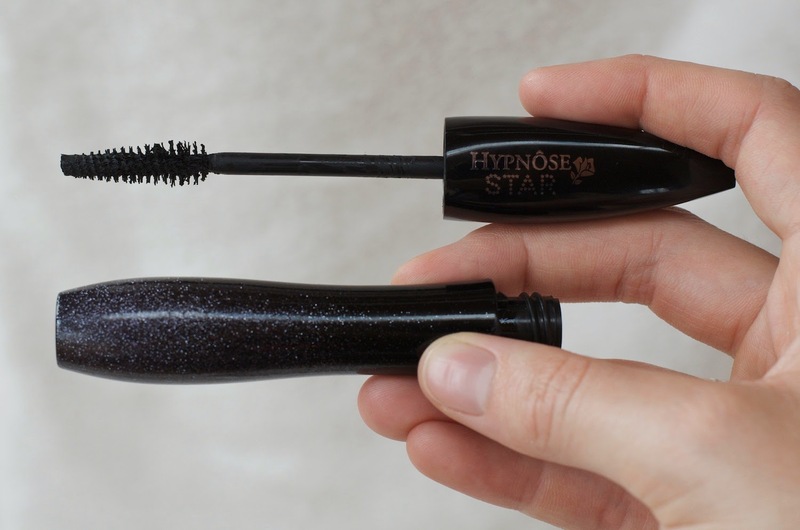 It’s easy to use and surprisingly for a drugstore products the shade isn’t too warm like they usually are. 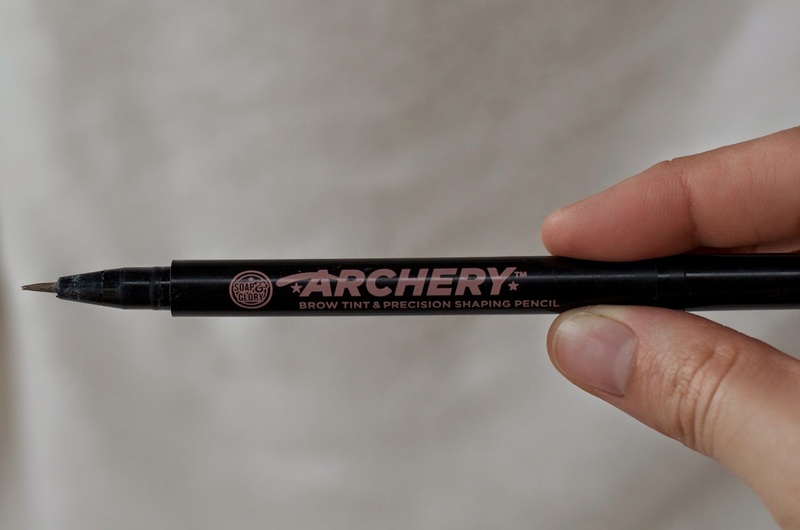 The pencil tip is the quickest and the tint makes everything look extremely natural (I usually use either one or the other as it tends to become too dark if I use both. The bad : There’s no spoolie that comes with it. (But you can’t have it all) Maybe the shade selection (If I’m correct there are only 2 shades) There’s the perfect one for me so I’m happy but I don’t know that that’ll be the case for everybody. Will I repurchase it ? I already have ! I can’t live without it anymore ! So that’s all I finished up during the last 2-3 months. There’ll be a post soon about my body and hair care empties.